One of the things that I often wonder about is ‘what does it take for the children of ‘successful’ parents to be successful in their own right?’ All too often the children of successful parents fail to step out of the shadows. Sometimes that’s by intent but I suspect more often that not it’s just that it doesn’t happen for those kids. That clearly doesn’t seem to have been an issue for Jamie Wyeth, a third generation artist whose grandfather Newell Convers “N.C.” Wyeth and his father was Andrew Wyeth. Jamie seems to have had a somewhat unusual childhood having left school at 11 to be home schooled and to train as an artist under the guidance of his aunt Carolyn. I get the sense that while he may have had shown some talent as an artist early on that he’s really worked hard and received very open feedback on his work from one of the great american realist painters – his father. In the video below that shows him at work on ‘The Inferno’ (I couldn’t believe that was watercolors on cardboard) you hear Wyeth talk about painting being ‘drudgery’ at times but you keep working for those moments when it all comes together, a point that I have now heard many artists reiterate in their own way. The muses favor those that they find working! Wyeth has a major retrospective exhibition going on at the MFA in Boston now until the end of the year. It looks like it would be fun to see since it pulls together all of the various aspects of Wyeth’s work in a way that hasn’t been done in a number of years. 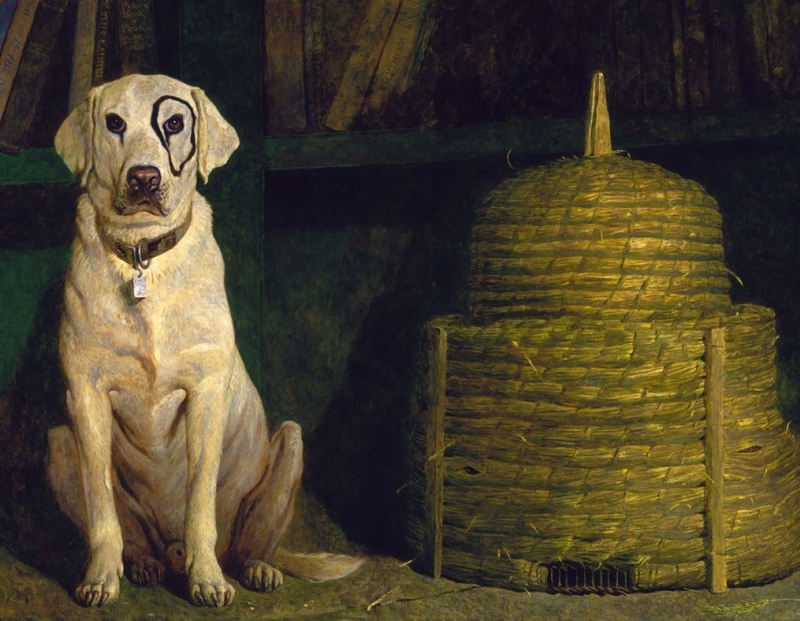 Check out the exhibition site here and hear Jamie Wyeth talking about his work below.